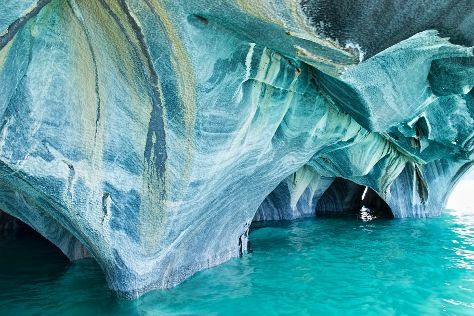 On the 11th (Tue), explore the striking landscape at Marble Cathedrals, then look for all kinds of wild species at Bayo Lake, and then look for gifts at Colores del Lago. Get ready for a full day of sightseeing on the next day: get outside with Glaciar Exploradores and then contemplate the waterfront views at Laguna Verde. To find more things to do, other places to visit, photos, and tourist information, use the Puerto Rio Tranquilo driving holiday planning app . Sao Paulo, Brazil to Puerto Rio Tranquilo is an approximately 23-hour flight. You can also drive. The time zone difference moving from Brasilia Time (BRT) to Chile Time (CLT) is minus 1 hour. Prepare for colder weather when traveling from Sao Paulo in June: high temperatures in Puerto Rio Tranquilo hover around 5°C and lows are around 0°C. Finish your sightseeing early on the 12th (Wed) to allow enough time to drive to Coyhaique. Founded in 1929, Coyhaique is a young city--a baby by world standards--developed from humble agricultural origins to become the capital and main hub of the largely rural Aysen Region. Your cultural itinerary includes sights like Delira and Catedral de Nuestra Señora de los Dolores. 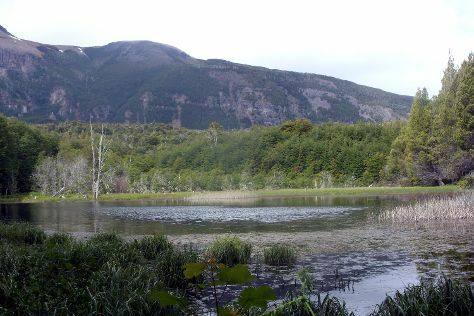 Spend the 14th (Fri) surrounded by wildlife at Coyhaique National Reserve. Spend the 15th (Sat) exploring nature at Reserva Nacional Cerro Castillo. 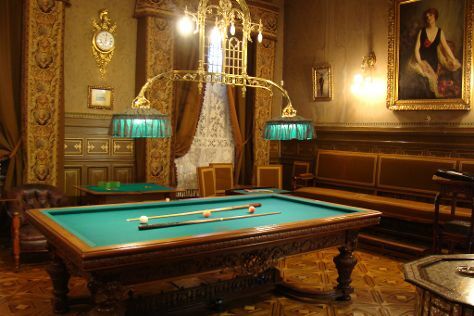 Next up on the itinerary: try to win big at Casino Dreams Coyhaique, make a trip to Plaza de Armas, look for gifts at La Bodeguita, and pause for some photo ops at Monumento al Ovejero. To find where to stay, photos, more things to do, and other tourist information, refer to the Coyhaique trip planning site . Traveling by car from Puerto Rio Tranquilo to Coyhaique takes 6 hours. Alternatively, you can do a combination of taxi and bus; or take a bus. In June, daily temperatures in Coyhaique can reach 8°C, while at night they dip to 0°C. Wrap up your sightseeing on the 16th (Sun) early enough to travel to Punta Arenas. An erstwhile hub of the sheep wool industry, Punta Arenas has evolved into a gateway of sorts for hikers, cruise ship passengers, and adventure travelers heading out on the windswept lands of Chile's extreme southern reaches. Nao Victoria Museo and Cementerio Municipal are good opportunities to explore the local culture. For shopping fun, head to Kenavic or La Galeria: Tienda de Arte y Diseno. Spend the 18th (Tue) observing fascinating marine mammals with a dolphin and whale watching tour. There's still lots to do: see the interesting displays at Palacio Sara Braun, visit a coastal fixture at Faro San Isidro, don't miss a visit to Plaza Munoz Gamero, and get engrossed in the history at Museo Regional De Magallanes. For ratings, other places to visit, more things to do, and tourist information, refer to the Punta Arenas vacation builder . Do a combination of taxi and flight from Coyhaique to Punta Arenas in 3 hours. Alternatively, you can drive; or take a bus. In June in Punta Arenas, expect temperatures between 5°C during the day and 0°C at night. Cap off your sightseeing on the 23rd (Sun) early enough to catcht the bus to Puerto Natales (Torres del Paine). Surrounded by towering mountains, shimmering lakes, and the region's rugged hills, Puerto Natales serves as a bustling jumping-off point for exploring the Torres del Paine National Park. Your cultural itinerary includes sights like Historical Museum,Municipality of Puerto Natales and Le Mouton Vert, Patagonia Merino Sheep Wool. Let the collections at La Tehuelche and Museo Historico e Industrial Puerto Bories capture your imagination. Spend the 24th (Mon) exploring nature at Torres del Paine National Park. There's much more to do: look for gifts at Krea Noe, Head underground at Cueva del Milodon, make a trip to Muelle Historico, and explore and take pictures at Estancia Puerto Consuelo. For photos, traveler tips, more things to do, and more tourist information, you can read our Puerto Natales (Torres del Paine) trip maker app . You can take a bus from Punta Arenas to Puerto Natales (Torres del Paine) in 3 hours. Alternatively, you can drive. In June, daytime highs in Puerto Natales (Torres del Paine) are 7°C, while nighttime lows are 1°C. Finish your sightseeing early on the 28th (Fri) so you can travel back home.